Luckily for us South Africans the 2010 world cup is bringing a lot of long overdue changes to our basic infrastructure. The roads are much improved and public transport is being overhauled in many cities. South Africa is a great country to hire a car and hit the open road in, we drive on the left side of the road which may take some getting used to if you are used to the wrong side. There are a few bus services that are comfortable and affordable, they link all major cites and the smaller town in between, the most popular are the Greyhound and Roadlink then there is the tourist backpacker bus that reaches slightly less mainstream destinations called the Baz Bus. The local minibus taxis, of which there are thousands on our roads are often overcrowded and poorly maintained which gives them a really bad rap. Having said that there is nothing wrong with catching these taxis provided you have a contact within the country who can suggest a particular driver and where exactly you are heading. 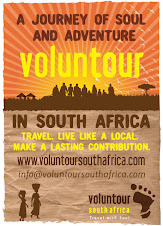 As I am part of a volunteer organization within South Africa we are careful to select the appropriate mode of transport for our volunteers, in many cases the project is based in the heart of rural South Africa and the only means of getting there is by minibus taxi of private vehicles. Then there are the airlines, obviously the fastest mode and there are many local airlines offering great deals on in country but if you have time on your hands then nothing beats a slow meandering road trip.